It was one of those magical Kathmandu days today. 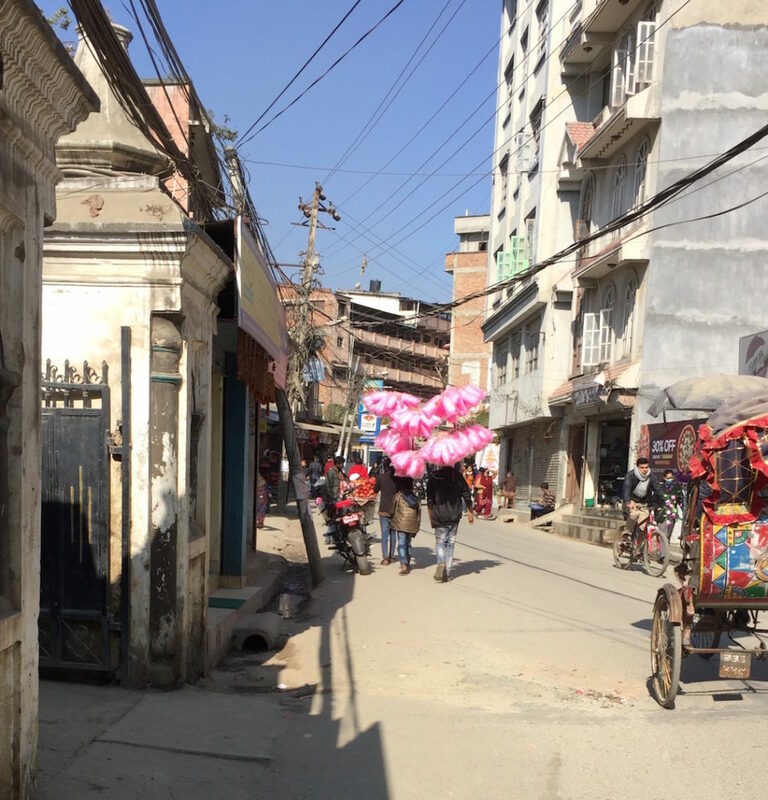 I will tell anyone who listens that I really don’t like Kathmandu and that I head east as soon as I can, but this dusty, crowded, busy city has charms and shows them when you approach with low expectations and openness. 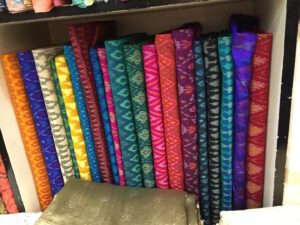 I was apprehensive about finding a fabric shop but I told myself to adopt a growth mindset. I reminded myself that this day was a gift with no time pressures so I could take all day to be lost and found again. I could wander down unknown roads and discover places I didn’t know about. It just got more fun as the day went on. 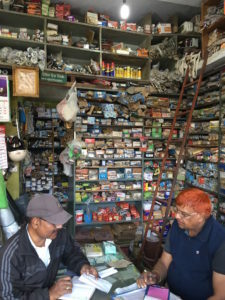 Faltering Nepali direction seeking led to lots of happy chats. 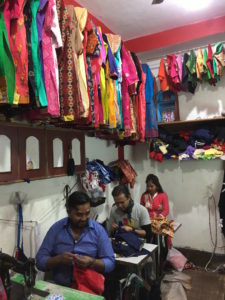 And the shop was a veritable Aladdin’s cave of glorious fabrics in a dark corner on the third floor of a department store. Having found it, there was nothing I had to do but feel very proud of myself and then set off to discover more. So I followed a fairy floss man. As you do. 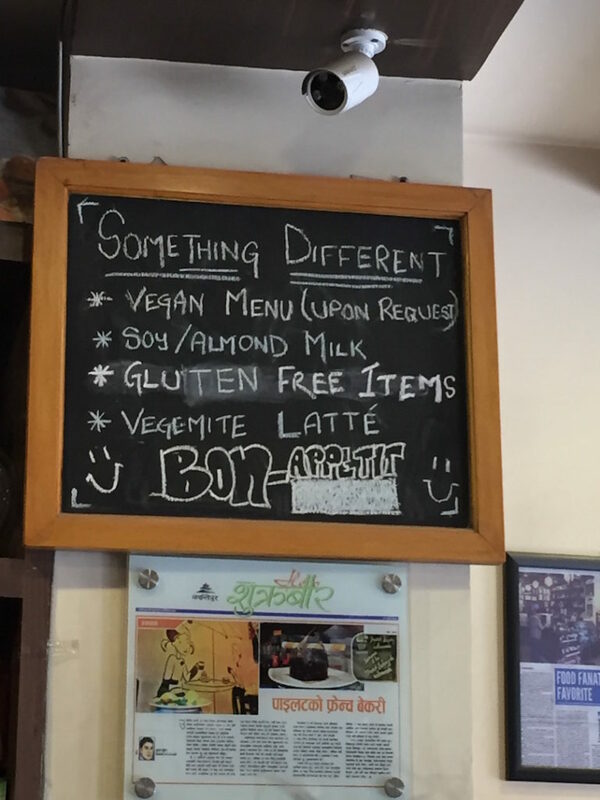 I discovered the French Bakery which sold gluten free food…and a Vegemite latte which even if it was gluten free I would not have tried. I could have got gluten free spaghetti there if it hadn’t been mid morning. 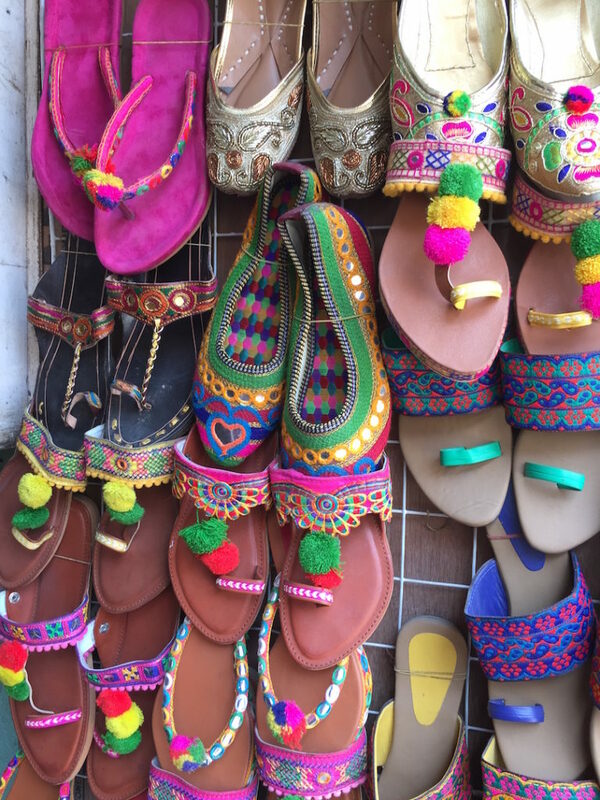 I was looking for small gifts for my darling grandchildren so it may seem surprising that I headed into a shop of fabulously colourful adult sized shoes. When these two good ladies realised I had grandchildren…out came the children’s shoes. 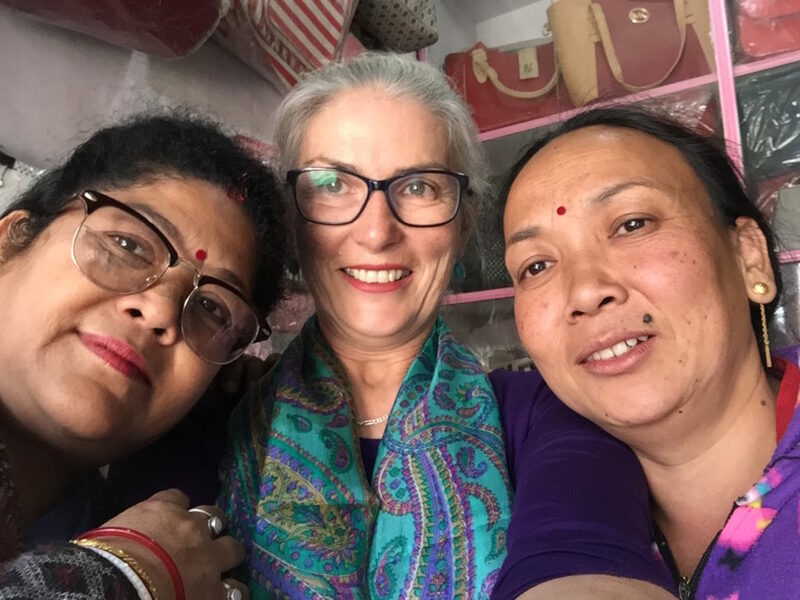 We decided that I needed measurements but either this trip of the next my grandchildren will have JUST the shoes they need for Nepali day at Pre School. Or dress ups! And…they will match mine. How good is that? PS WordPress seems to have changed something and I can’t work out how to get photos to go where I want. So you kind of have them all at the end. Sorry about that and I will approach learning about this with a growth mindset when I get home!!! This entry was posted in Uncategorized on December 12, 2018 by wendy.